High quality mineral nutrients specifically designed for growing with Coco medium. Suitable for use in Ebb & Flood and Wilma drip irrigation systems and can be used in conjunction with all Plagron additives. 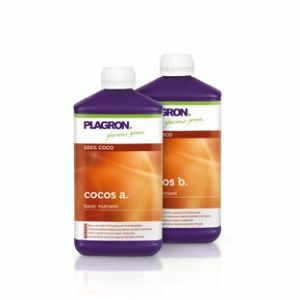 Cocos A & B is a highly concentrated bio-mineral nutrition base to be used in the growth and flowering stage of the plant. These two components fertilizer is easy to use and contains a balanced diet for optimal results.